The Portuguese company PARTTEAM & OEMKIOSKS, joined the “Vá Lá, Portugal Merece!” movement, thus demonstrating its support for the appreciation and consumption of Portuguese products. "Vá Lá, Portugal Merece!" is an collaborative horizontal and nonprofit movement that aims to value Portugal, Portuguese and all that is Portuguese. We are a Portuguese company, for sure ! PARTTEAM & OEMKIOSKS digital kiosks and billboards are manufactured and produced in Portugal. 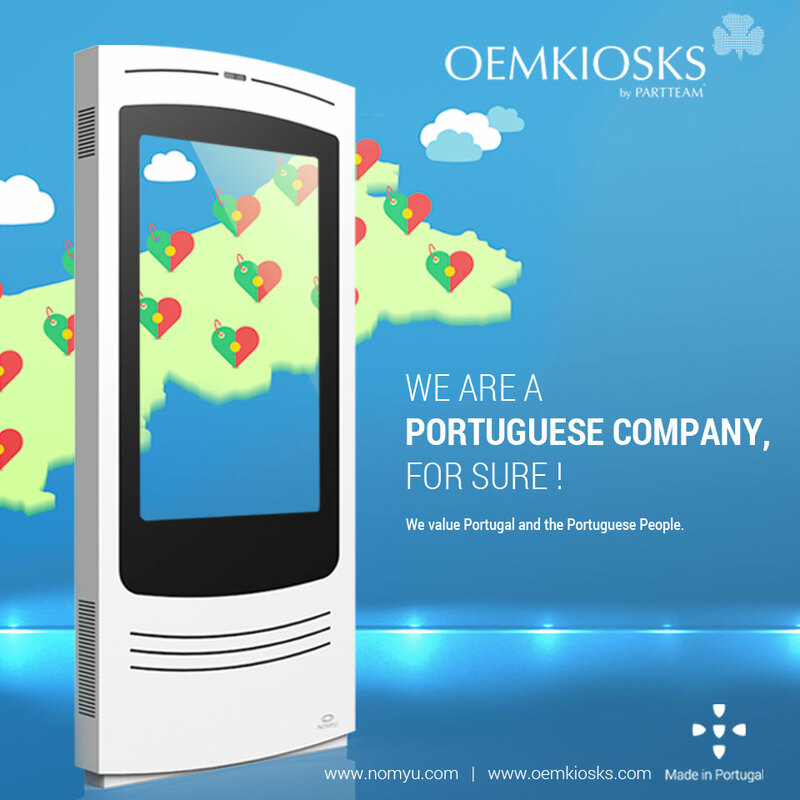 Present in more than 50 different countries, PARTTEAM & OEMKIOSKS continues to bring Portuguese technology to the whole world, being a reference in the global market, with products and technological solutions, for different market sectors. Portugal has strong potential to distinguish itself from other countries, because it has its own identity. The mission of the "Vá Lá, Portugal Merece!" movement is to realign priorities, change behaviors and contribute to the growth of the business community in Portugal, in favor of a better quality of life for all Portuguese, through the resulting job creation. Companies, governments and communities not only apply the kiosks developed by PARTTEAM & OEMKIOSKS in their factories, companies, offices, stores, organizations ... but they expect this to be revolutionary. They reevaluate their operations and reshape the workflow. These organizations rebuild their business models based on PARTTEAM & OEMKIOSKS Portuguese technology. PARTTEAM & OEMKIOSKS uses a strategy to correctly disseminate the characteristics and potential that the region offers. It is the purpose of the company PARTTEAM & OEMKIOSKS, honor the legacy and strengthen the identity of Portugal, in the world!